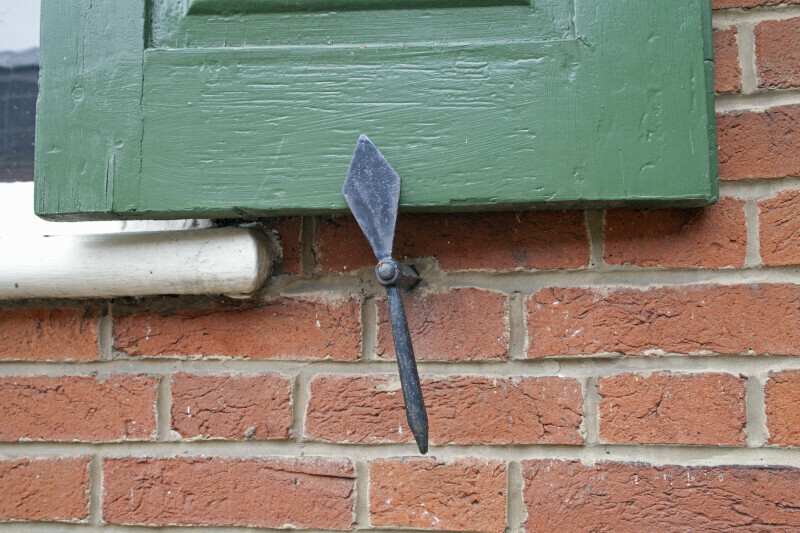 This is a close-up of the iron shutter dog that holds the shutters open, at George Rapp's house. The shutter is painted green. The window trim is painted white, and set into a red brick wall. Economy was the third settlement started by the Harmonist Society, and is now listed on the National Register of Historic Properties. The site is located in Ambridge, Pennsylvania. For more information about the Harmonist Society’s settlement at “Oekonomie,” visit the Old Economy Village website.